OMG Posters! 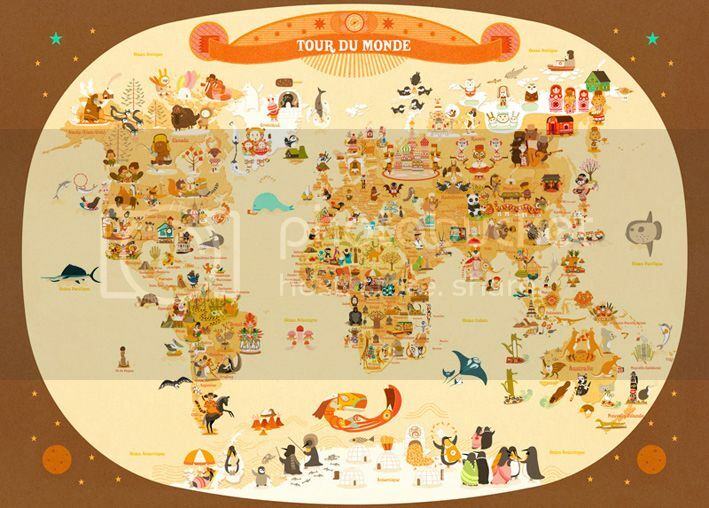 » Archive "Tour du monde" Art Print by Julie Mercier - OMG Posters! L’Affiche Moderne just released one of the cooler prints for children that I’ve seen. Julie Mercier’s “Tour du monde” is a 19.5″ x 27.5″ digital print, has an edition of 300, and starts at €59 (it comes in a few versions). Visit LafficheModerne.com. Would be all over it if it weren’t for the price. Really fun. will buy one for my neview. Ce poster est superbe, tres beau travail Julie. Agreed–$100 shipped to the U.S. is a tough buy for a child’s poster from an essentially unknown artist. Am still considering it–but assume it will take a long time to sell out for that price.